GreenAtom Review 2019: Is GreenAtom a Good Hosting? GreenAtom offers hosting plans to suit both users’ and resellers’ needs. The company believes in the motto that speed and reliability should not be compromised for price, and that reflects in its plans as well. Whether you’re a blog owner, a single site owner, or a reseller looking for competitively priced hosting plans, GreenAtom can be the service provider for you. With its robust infrastructure in place, the company can be a one-stop-solution for your web hosting needs. Though the company’s website is operational to a good extent, many of its links return a “404 Not Found” error. This triggers concerns whether GreenAtom is still offering its services or not. The company’s website is in English. 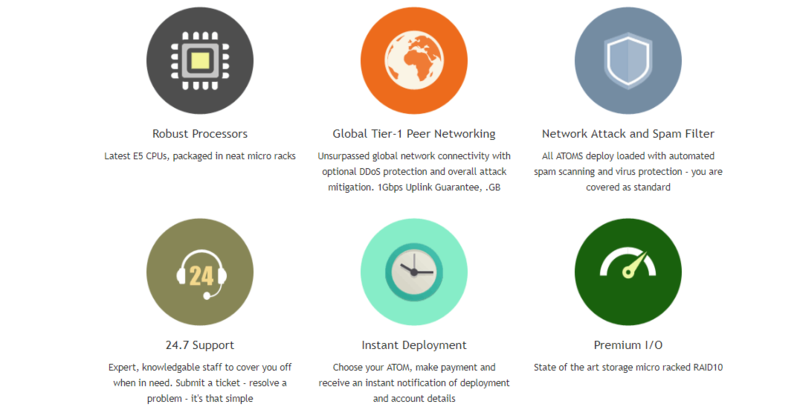 A unique feature of GreenAtom is its supercharged tier-1 network with the latest E5 CPUs to provide its customers with high-quality performance. The company also offers premium I/O with RAID10 storage. This means you’re using multiple disks for improved redundancy and reliability, and enjoy improved disk I/O speed. I/O or input/output operation refers to the speed with which the data transfer takes place between the RAM and the hard disk. GreenAtom’s security measures in such as automated spam scanning and virus protection along with optional DDoS protection (where several compromised computer systems attack a target like a server) are another of its unique features. Despite offering regular backups, GreenAtom’s “Terms of Service” page makes it clear that the company’s backups aren’t to be relied upon as a front line of defense. The company says it’s ultimately the clients’ responsibility to make backups of their account data. The company doesn’t offer any uptime guarantee. Though the company’s website doesn’t provide any clear idea about its server locations, it is likely that they are located somewhere in the Netherlands as both the plans come with a mention of a .NL location. GreenAtom’s hosting plans can be easily considered cost-effective. These plans come with a fifteen-day money-back guarantee. Though the company’s website doesn’t offer any information about the payment terms, there was a promotional code on the website’s home page (as of the writing of this review), which would bring users a hefty discount. Plans are payable in GBP, however, there’s no information about the payment modes the company accepts. Though GreenAtom’s site displays a “Contact Us” tab, it delivered an error message when I clicked on it. The same thing happened with the “Knowledgebase” and the “FAQ” sections. There isn’t any live chat or phone number through which you can contact its customer support desk either. Though the company prominently displays the availability of 24/7 customer support on all of its service-related pages, I couldn’t find any method in which to reach out to them. Thinking that this support is perhaps only for GreenAtom’s customers, I tried to access the client area by clicking the login tab but a “File not found” error was displayed. This doesn’t reflect very well on the company’s commitment to its customers. Though GreenAtom’s hosting plans are quite affordable, the lack of information and communication methods available may divert potential customers to other hosting providers. 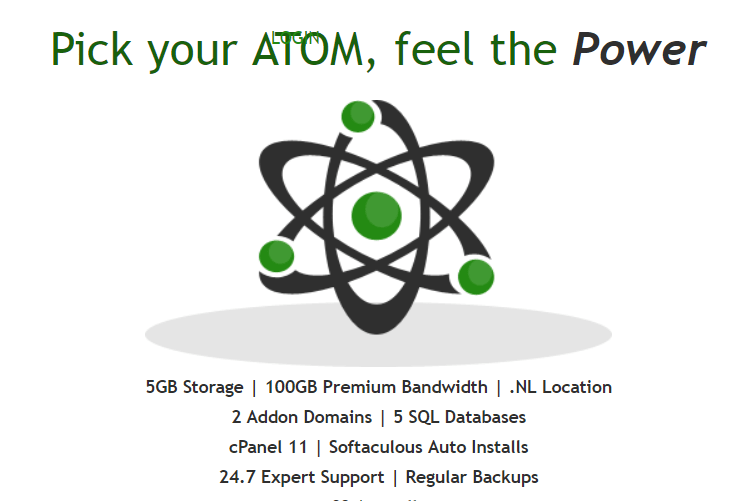 Wondering how GreenAtom stacks up against other Web Hosting companies? Enter any other Web Hosting company and we will give you a side-by-side comparison.